June 2015 State Council of Education - CTA Go! CTA’s top policy-making body is the State Council of Education. Meeting four times a year, the council’s nearly 800 delegates elect the three state-level CTA officers and the CTA Board of Directors. Council also sets forth CTA policy, develops legislation, and makes recommendations in general elections. For easy NBI submission and review, use the CTA Go! app and tap on NBI or click here to access the NBI website. CTA is offering a no-charge child care program at the June 2015 State Council. Childcare is available to all State Council attendees that are the primary caregiver of the child(ren) attending Camp CTA. Give your children an exciting, entertaining experience, and bring them with you to Los Angeles! While you’re attending meetings at State Council, your children can enjoy their own CTA Camp, organized by ACCENT on Children’s Arrangements, Inc., a national company specializing in children’s activities. CTA Camp is a complete morning-to-early-evening entertainment program packed with activities for children ages 6 months to 16 years. Children must be preregisterd to ensure proper staffing levels. Children participate in age-appropriate activities in a safe, nurturing, and educational environment. Program includes morning and afternoon snacks and juice, entertainment, and craft materials. 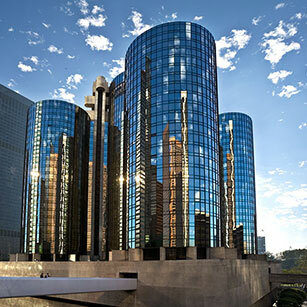 CTA will provide lunch and dinner Friday, breakfast and lunch on Saturday and Sunday for the registered children or parents can send/bring meals to the Pasadena Room at the Westin Bonaventure Hotel.